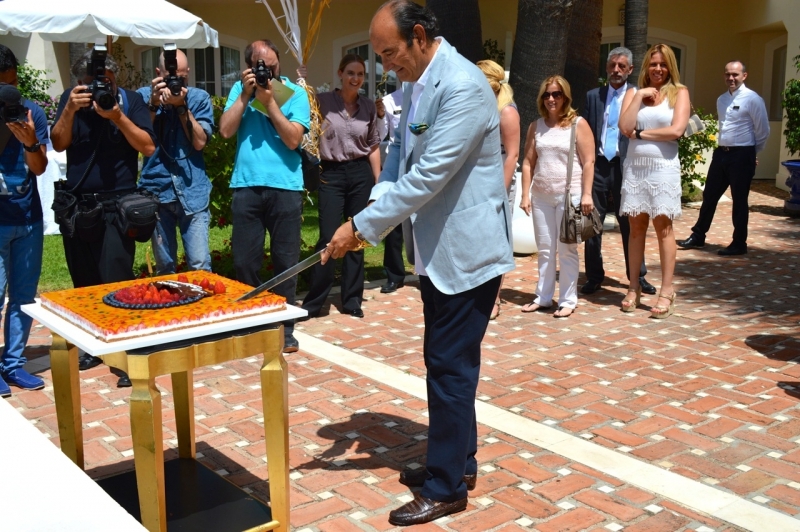 Healthouse Las Dunas celebrated its first anniversary on July 08, 2015. The birthday was celebrated among the best customers and friends. Situated in front of the crystal clear blue waters of the Mediterranean Sea, you will find the prestigious new Healthouse Las Dunas – GL Health & Beach Spa – Estepona's and Marbella's first address of healthcare hotels. Just minutes from the chic marina of Puerto Banus and just a fifteen-minute drive to the beautiful Old Town of Marbella, this Mediterranean-inspired luxury dietetic centre is arguably one of the most glamorous and fashionable on the Costa del Sol. Healthouse Las Dunas is the epitome of comfort, elegance, and cutting-edge design. With 55 sumptuously appointed luxury suites, this idyllic sanctuary isn't only a bliss to the senses, but a truly unique experience in one of Europe's finest destinations. Healthouse and Naturhouse professionals have created a selection of specific and customised programmes tailored to your weight reduction needs and based in anti-stress, anti-aging, and detox – constantly advised and accompanied by our medical and nutrition team paired with the passion and love of our hospitality team always to be a perfect host.